There are a lot of reasons to fall in love with a house in Tuscany. A sweeping view across the rolling Tuscan hillsides, finding a piece of Italian history going back generations or a setting in a charming Italian village. While Louise Badger and Lawrence Kershaw found all those things in Poggiolino, a unique home near Lucca, what this husband and wife found was that there was only one Todo in Tuscany. Todo the dog that is. After holidaying in Italy together for years, Badger and Lershaw decided it was time to live the dream. The timing was right in 2007 to make the dream a reality, and the two were off to house hunt in the Tuscan countryside not far from Lucca. There very first house viewing turned into a memorable experience when they were greeted by a brown ball of excitement they soon learned was named Todo. With a smiling face and enthusiastic demeanor (and one very swishy and happy tail! ), Todo quickly charmed Badger and Kershaw, who were also moved by Todo’s sad story. The answer came immediately after returning home to London. They did! Although the house wasn’t quite what they initially had in mind and required more work than expected, they couldn’t get Todo’s sad face when they left out of their minds. Todo had been waiting for two years for someone to return to Poggiolino and bring love and life back to his home. In Todo in Tuscany: The Dog at the Villa, Badger and Kershaw share their story of meeting Todo, discovering his and Carol MacAndrew’s fascination history, meeting new friends, working through all those renovations and making their dream of living in Italy a reality – with Todo cherring them along every step of the way! 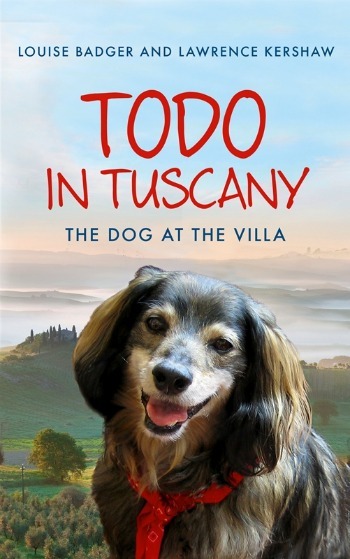 An honest and heartfelt story told from Louise Badger’s point of view, Todo in Tuscany is about the ups and downs of moving and making a new life in Italy and the joys of falling in love with a place … and one very special dog named Todo! Visit the Todo in Tuscany website for more information, photos and stories. You’ll also find Louise Badger and Lawrence Kershaw on the Todo in Tuscany Facebook page or @TodoinTuscany on Twitter. Can’t wait to get your paws, er, hands on a copy of Todo in Tuscany? Michelle over at Bleeding Espresso has one copy to give away to a lucky winner. Just click here and enter before Tuesday, July 31st at noon (Italy time). You still have a couple of days! Every life deserves a little magic. If you feel like yours is missing that little spark, then boy oh boy do I have the book for you! 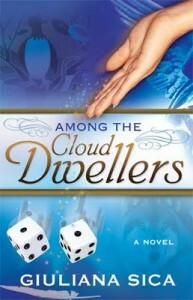 One of my favorite summer reads so far has been Among the Cloud Dwellers by Giuliana Sica (published by Gemelli Press). This book is a beautiful blend of romance, travel, wine and good food – sprinkled with a little bit of magic. Porzia Amard has inherited something she never expected from her French grandmother, a family gift of unusual spiritual insight and powers. 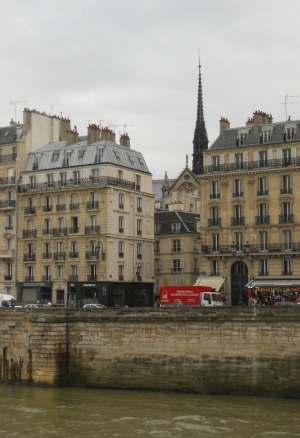 Returning from her grandmother’s funeral in France to her adopted home in Pensacola, Florida, Porzia is not sure what to do with her unexpected legacy. With the help of her spiritual mentor, Porzia takes the risk to gamble with destiny and follow where fate will lead her, even at the risk of breaking her own heart. Trying to develop her career as a food and wine journalist while at the same time balancing the confusing emotions revealed in a past life regression that offered a glimpse of her soul mate, intense romance and violence, Porzia sets off to the other side of the world to cover the release of a new Shiraz at a vineyard in Australia. Gambling with fate means accepting the places it chooses to take you, and Porzia finds this out when she sits down next to famous off-road racer Gabe Miller on the overseas flight. The attraction is immediate, the connection deeper than a lifetime of love could create, and before long Porzia is wondering if she has found her lost soul mate. Giuliana Sica carries readers along through Porzia’s travels through the Australian outback, in search of voodoo recipes in Savannah, Georgia, the Oregon wine country, the enticing scents of New Orleans and the beauty of the Gulf Coast of Florida. Sica was born in Siena, Italy, and her passion for Italy shines through in Porzia’s French-Italian roots and her love of cooking and wine. Food and wine lovers will savor Sica’s exquisite descriptions of delicious recipes matched with the perfect wines. This is truly a gourmand’s romance! It’s no secret that I love series books. Once I get into a good story, there’s always a sad moment when I’m just pages away from the end. Knowing that Giuliana Sica is at work on the next book made it a little easier letting go of the magical world and characters in Among the Cloud Dwellers … and I can’t wait for Porzia’s story to continue! I’ve been stuck lately working on a chapter in the novel. I know, it happens to writers all the time. 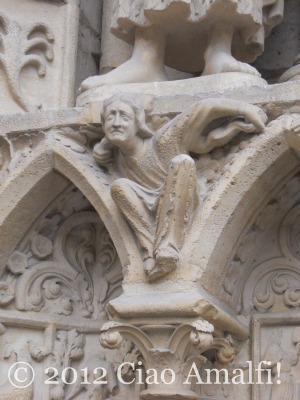 The writing rarely flows continuously without a hiccup here or there to slow things down. Like the washboard surfaces on the dirt roads that were so much fun to ride my bike over when I was kid, I may keep writing and writing, but sometimes the words come out with a struggle, all bumpy and hard. Other times, the words for a particular scene may not come at all, even if I know what happens next. I was mulling over the flow of writing and the idea of writer’s block the other day while making dinner. As I stirred the pasta sauce and it bubbled away, the image of a wall came to mind. Not any kind of wall, an old stone wall. 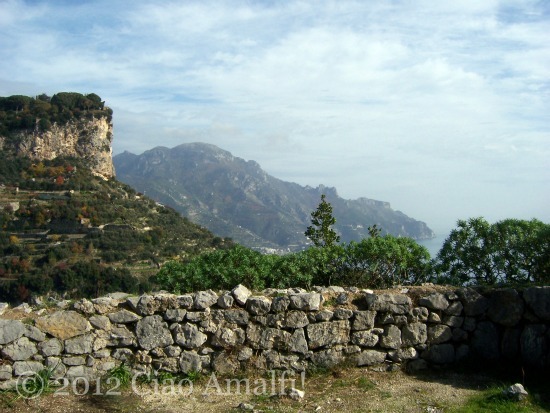 The kind that used to separate farm land before modern fences and the kind that are used to build walls and terraces here on the Amalfi Coast. The kind that fall apart and need to be rebuilt. The first line from Robert Frost’s poem “Mending Wall” ran through my head, “Something there is that doesn’t love a wall.” Writers, I thought. Writers don’t like walls. When I’m stuck, it’s often not because I don’t know what I’m trying to write or what is happening next. That’s writer’s block, for me, when you find yourself unable to describe what you’re writing or what’s happening next. I often get stuck waiting for the right words to come. I can be a frustrating experience when at other times they come so easily. But I’m not one to sit around waiting for Inspiration to arrive, and my work as full time freelance writer has taught me that Inspiration ain’t ever going to show up at your door with a project fully written by a deadline if you don’t roll up your sleeves and work hard at it. I see these periods of struggle more like a wall rather than a block. 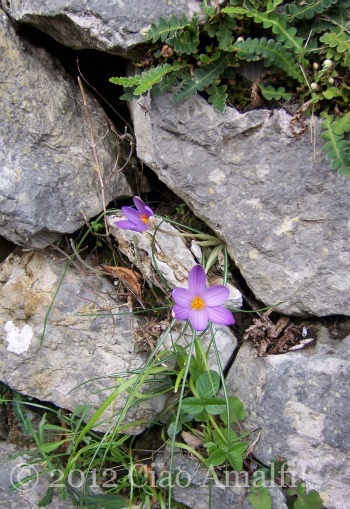 Sometimes they fall down naturally, just like the stone walls Frost describes putting back together each spring with this neighbor. Ideas expand and swell the tiny gaps and send the walls tumbling down just like ice in the winter. Other times you can peek through a hole and find it just large enough to squeeze through and get to the other side. If that fails, there’s always the good old bulldozer. Put on the work boots and helmet, pick up the pen, and plow right on through. (It’s an imaginative wall anyway, so what does it matter how big of a mess you make?) All that matters is that you end up on the other side with some words on a piece of paper or typed on the computer. Sometimes it doesn’t even matter how good they are. That’s what editing is for, right? 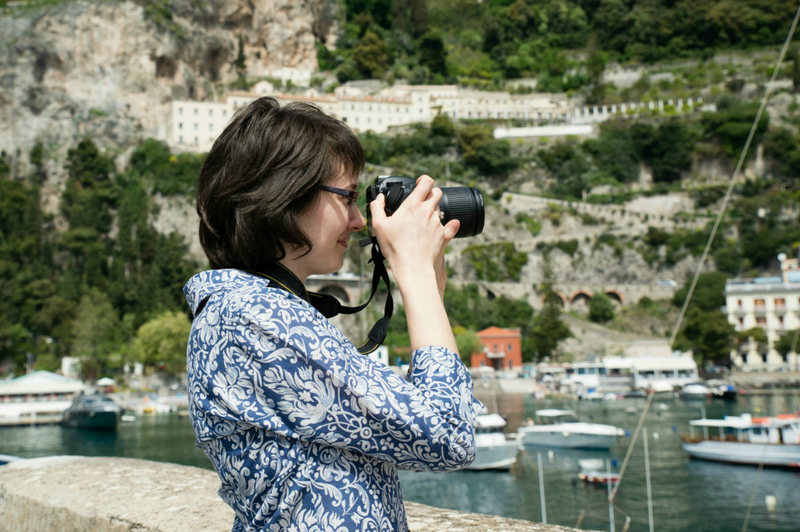 What do you do to break through walls that block your creative process? I’ve never been much for memes. While I enjoy reading them, and have even taken my turn at writing one, I’ve never felt like the questions related to my life in a way that made me want to return year after year. For the past few years, however, I’ve been keeping a reading journal where I note down the books I’ve read and try as often as I can to write my thoughts during and after reading. I don’t always succeed, but it’s a habit I enjoy improving. Recently, the idea of a Reading Meme popped into my head. (Read: this morning.) After a few basic searches didn’t turn up a series of questions that seemed quite right, I sat down and wrote my own. So in the span of a very short time, I’ve gone from a meme skeptic to a meme writer. Well, there you go! Here’s my first Annual Reading Meme for 2011. I invite anyone interested in reading to share their own reading memes as a fun way to swap recommendations for great reads and new authors! This is a tough one given that I read books by some of my favorite authors in 2011. Top of my list for last year would be a tough call between several books by Santa Montefiore. 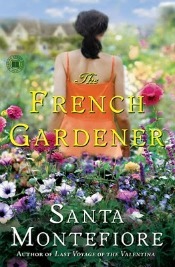 If I had to choose just one, it would be The French Gardener. I’ve loved all Montefiore’s books that I’ve read so far, but this one has a spot in my heart as the first book by her that I read. I’m thrilled to look over at the stack of Montefiore’s books I have still to read on my desk waiting for me in 2012. Even better, Montefiore’s hard at work writing more, with a new book, The Legacy of Fairfield Park, scheduled for a July UK release and a book set in Ireland in the works. Such a relief that I won’t soon run out of books to read by my favorite author! The book that surprised you the most? Traveling with Pomegranates: A Mother-Daughter Story by Sue Monk Kidd and Ann Kidd Taylor. I was taken by the beauty and intensity of this mother and daughter co-authored book. After reading Traveling with Pomegranates, I’m eager to sample Sue Monk Kidd’s fiction writing style in The Secret Life of Bees and The Mermaid Chair. Both are on the bookshelf waiting to be read in 2012! The book that inspired you the most? The Happiness Project by Gretchen Rubin. This one tops my list as most inspiring read of 2011 due of its impact on my personal life, as well as my work and writing. I picked it up in the Omaha airport last March to read during the flight home, and was most of the way through by the time I arrived back on the Amalfi Coast. It’s a book I returned to again and again over the year, and I continue to enjoy Rubin’s daily Moment of Happiness Daily Quotation emails and insights. Looking forward to her next book, Happier at Home, due out this coming August. How many fiction and how many non-fiction? Fiction: 12, Nonfiction: 9. This number surprised me since I was left with the impression that I read only fiction last year. Are there any books on the list that you’re embarrassed to see there? Why? I’m embarrassed to see Mrs. Dalloway by Virginia Woolf on my reading list for 2011. Certainly not because of the author, but because I had to admit to myself last year that I was 31 and hadn’t yet read anything by Virginia Woolf. Phew, glad I took care of that one! 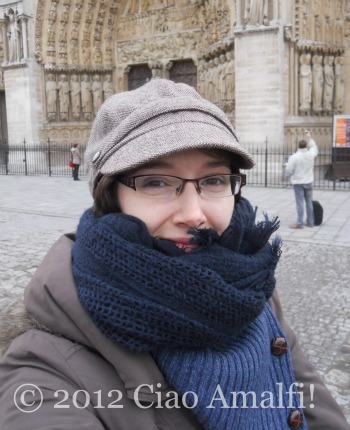 Favorite new author of 2011? This is an easy one to answer for 2011. 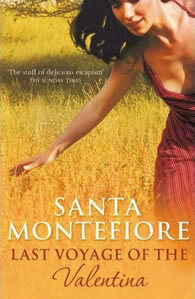 Without a moment’s hesitation – Santa Montefiore. (Have you picked up on a theme for 2011 yet?) Her writing style, intriguing plots with twists and turns that often keep me guessing, and lovely characters I don’t want to leave behind at the end of each book has made her not only my favorite new author of 2011, but my favorite author period. Santa’s enthusiasm and generosity are gifts I will treasure for the rest of my life. Is there a book on the list you know you’ll read again? There are two that I can guarantee I’ll read again, because I’m currently rereading Last Voyage of the Valentina by Montefiore. I rarely reread books (with the exception of Pride and Prejudice, which I read about every other year), but some books are just too good to read only once! 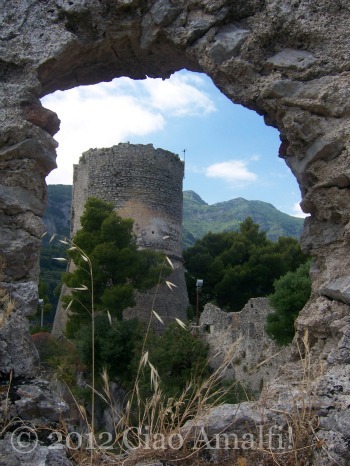 I was enchanted by this book—and its sequel The Italian Matchmaker—set on the Amalfi Coast. 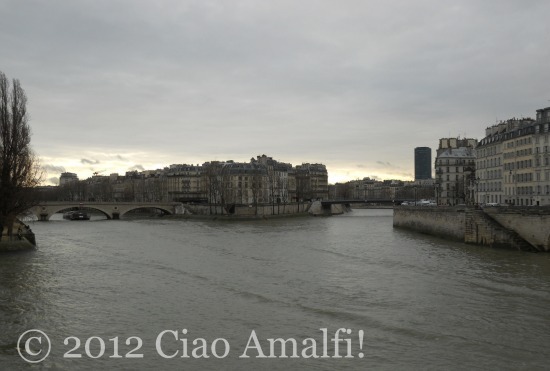 Stayed tuned … soon I’ll be sharing reviews of both of them on Ciao Amalfi!